AOBO 7028 - HANGZHOU AOBO TELECOM.,LTD. 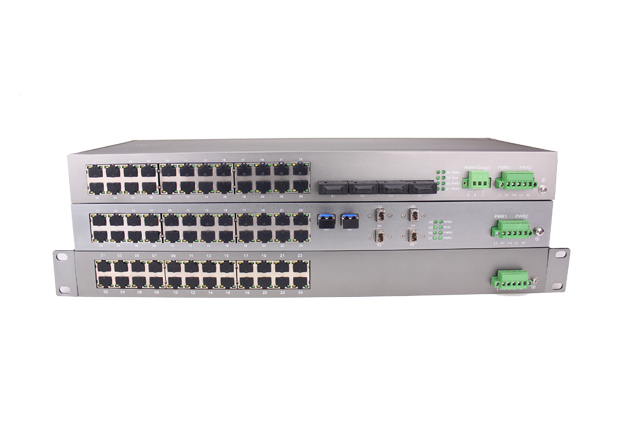 AOBO 7028 series of rack-mounted and managed self-healing ring Industrial Ethernet Switches support a maximum of 4 Gigabit Ethernet or Fast Ethernet fiber optic ports and 24 Fast Ethernet electrical ports. Support ABRing® full-distributed high self-healing ring technology, with the network self-healing time less than 5ms. This series of switches are specially developed for the adverse industrial operating environment. The products comply with the highest power level EMC and thunder-strike prevention standard and automation standards of the IEC61850 substation. Support the network management functions that are based upon the SNMP and Web browser, including the switch management method, broadcast storm control, port rate limit, IGMP Snooping, VLAN and QoS. The products are widely applied to the substation automation, electric power communication, highway and automatic control communication of the municipal engineering.